Definition at line 1123 of file ddrawint.h. Definition at line 1126 of file ddrawint.h. Referenced by DdQueryDirectDrawObject(), DxDdGetDriverInfo(), and GetD3D9DriverInfo(). Definition at line 1128 of file ddrawint.h. Referenced by DdQueryDirectDrawObject(), DrvGetDirectDrawInfo(), GetD3D9DriverInfo(), intDdGetAllDriverInfo(), and intDdGetDriverInfo(). Definition at line 1124 of file ddrawint.h. Definition at line 1127 of file ddrawint.h. 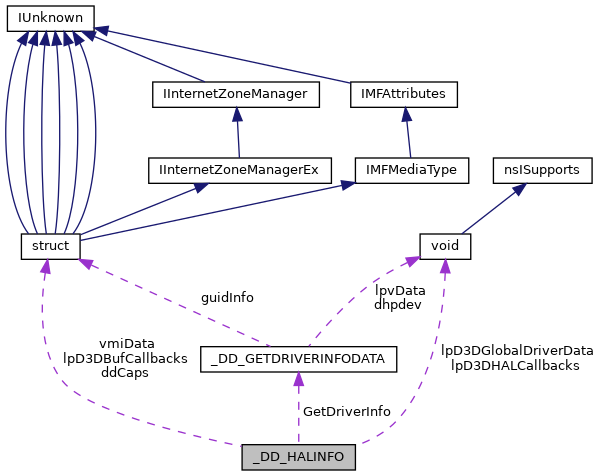 Referenced by intDdGetAllDriverInfo(), and intDdGetDriverInfo(). Definition at line 1131 of file ddrawint.h. Definition at line 1129 of file ddrawint.h. Definition at line 1130 of file ddrawint.h. Definition at line 1125 of file ddrawint.h. Referenced by DdQueryDirectDrawObject(), GetD3D9DriverInfo(), and intDdEnableDriver().